I blinked...and it was over. I feel like this was the first true weekend of summer, and in true summer style, it was over before I knew it. This post is a tad packed with info, so try to keep up. Friday I had my monthly doctor's visit, where we learned that everything is looking great with the baby, and we FINALLY got to hear the heartbeat of our little sweet pea. I have never heard a more beautiful sound in my life than that sweet thump, thump, thump. As far as other pregnancy updates go, I still don't think I am feeling the baby move just yet, although I find myself lying in bed at night holding my breath just...waiting. Saturday started out with a bang at my nephews 8th birthday party. It was mayhem I tell ya! Glorious, candy fueled mayhem! After the party Matt and I had a little cook-out at our house, then ended the evening with fishing in our own backyard, followed by a rousing game of Apples to Apples! Sunday we went out to church where I may or may not have ACCIDENTALLY unmuted all the microphones plugged into the sound board during prayer. Hey! I never said I was any good at being the sound person, I just got thrown into this gig people! Later on Sunday we had family over for yet another little cook-out and fishing excursion, during which not a single fish was caught, however we did learn that Jaco has developed a sudden and undying love of the water. What are the chances he's NOT scaring away any fish? 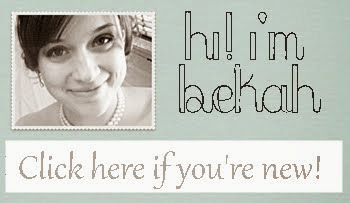 Bekah, so glad to hear from you, and that everything is going wonderfully. Ah the thought of having water in my own backyard, what a dream. Can you hear the river, does it make that beautiful rushing noise? YAY for hearing Baby's heartbeat for the first time! It is such an incredible feeling! Fun pics and great update, thanks! LOVE apples to apples! Wow thats quite a fish! Did you have a professional angler filming at your house over the weekend? Sounds like you had a great weekend. YaY for hearing the baby's heartbeat. That is always a special time. Thanks for the update...have a great week. I'm so happy for you and hearing a baby's heartbeat is one of the best sounds. :) The party looks like a blast! I enjoy coming over here to your lovely blog and to check your progress - so I awarded you with the One Lovely Blog Award! Hearing the baby's heartbeat is the BEST. And it cracks me up thinking you unmuted the mics during prayer. AWESOME. And how wonderful to hear the sound of your baby's heartbeat.